Make it HARD for Strangers to Steal Your DATA! Personal data privacy should be your personal mission! One phrase that was in the news (and still is) at the end of 2016 was "Russian hackers." Online overseas criminals were being blamed for hundreds of data breaches, including interfering with the Presidential election. By now it should be obvious that everyone (including you and anyone running for President) needs to take measures to protect their data, protect their computers and protect their online lives. Today's world is totally different to the "non-online" world of the past. Before the Internet and all of today's smart devices, only a handful of organizations had access to your personal information—the IRS, your bank, your doctor, etc. Take control. Protect your interests. Take matters into your hand by doing a self-assessment of your Internet habits and your current level of risk or "exposure." Then, take preventive measures to keep strangers, friends, hackers and enemies out of your computer and out of your personal data. Here's a list of ideas that can help you strengthen your privacy walls. 1. Review and secure your social media accounts. Make a list of your accounts (Facebook, Twitter, email, etc.) and decide which ones you need and those you can eliminate. Change the passwords for each one. Consider using a password manager to create hard to break secret codes. See which accounts provide an extra layer of security with two-factor authentication. 2. Change your passwords on all other accounts. Do it immediately (especially if you've had the same password on any one account for more than a year. Some people have more than 100 passwords that they've never changed. Some people have a few passwords for many accounts (a bad idea). 3. Use an Encrypted Operating System. It's referred to as Full Disk Encryption on Windows 10, and File Vault on Mac OS. It makes data stored on your computer data unreadable to anyone who doesn't have proper authorization. Encryption scrambles your data so that only you, with the right encryption, key can make the data readable again. 6. Don't use public computers. Think of a library computer or Internet cafe computer as a public toilet. You never know who was their before you. Not only could a hacker be nearby to spy on you using the available Wi-Fi, but the previous user could have set a trap to capture your data when you go online. Beware! Instead, take your own computer to the library. 7. Don't use free Wi-Fi. What!? Give up the ability to shop, text and send emails from almost anywhere?! Yes, unless you have protected your device before hand with a Virtual Private Network (VPN). 8. Use a VPN whenever you're online. A Virtual Private Network is not as mysterious or secretive as it sounds. With a VPN account turned on, you're Internet activity is tunneled through a hacker-proof, spy proof network. Hackers can't steal and/or read your data transmissions when it's in transit over the Internet. You open a VPN account online, then ensure it's active or "running" before you go on the Internet. 9. Use an off-site online backup service. 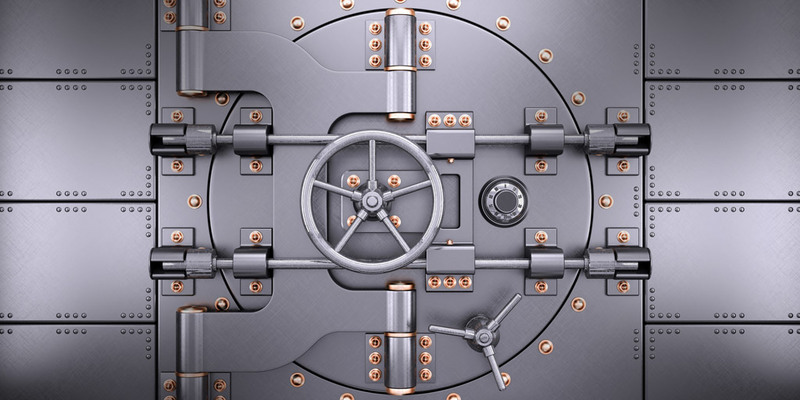 Think of this as a safety deposit box for a copy of your data, which is encrypted and stored on secure, high-storage-capacity server computers. If your computer's data is ever corrupted, you can easily retrieve the backup copy. Carbonite is a good vendor to look at. 10. Keep operating systems and software up to date. Whenever there's new software for your device, update immediately. Often companies release security updates to fix bugs that could give hackers access. 11. Look into encryption programs. But while encryption is important, the first line of defense is making sure you're following basic security measures to protect your devices and your accounts. 12. Don't get scammed. Learn how to spot and avoid phishing scams, where criminals use tricks to get you to open emails that can infect your computer or lure you into schemes that steal your money or your identity. 13. Double-check everyone. Learn to distrust "online strangers" (people you don't know or who reach out to you first), especially those posing as authorities or representatives of companies you know. Check them out carefully however you can.